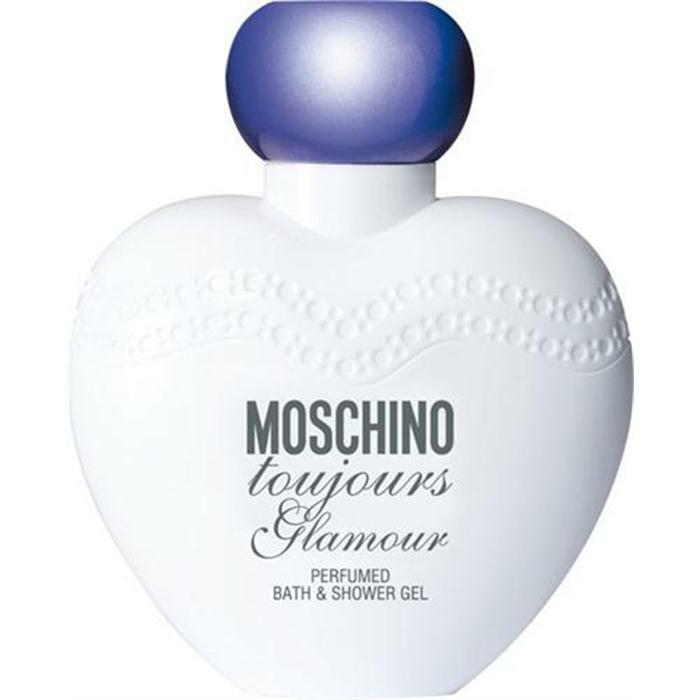 Toujours Glamour is a perfume by Moschino for women and was released in 2010. The scent is floral-sweet. It was last marketed by EuroItalia. 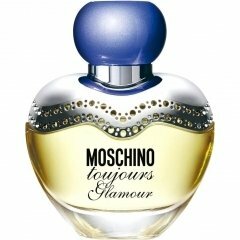 Moschino TOUJOURS GLAMOUR opens as a rich elixir in some ways evocative of Kenzo FLOWER and Guerlain L'INSTANT, on the one hand, and FERRE edp, on the other. Happily, the vanilla-infused baby powder from FLOWER and L'INSTANT is absent from TOUJOURS GLAMOUR. 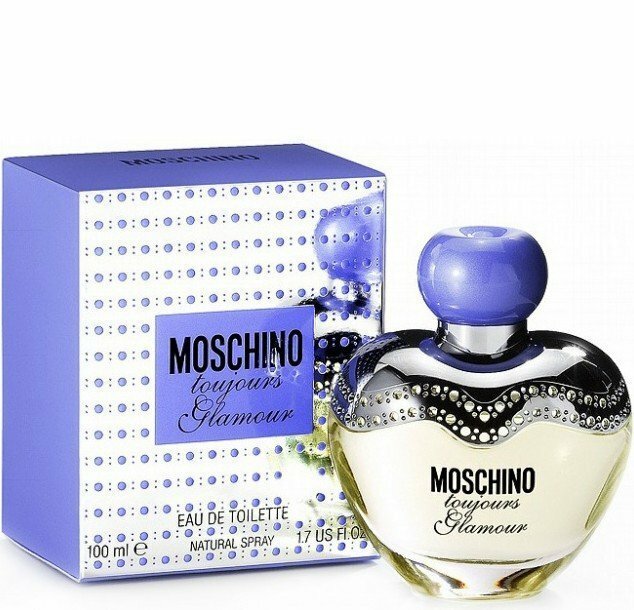 This creation also has less fruitiness than FERRE edp and showcases florals other than iris. I smell more violet than anything else, but jasmine, heliotrope and lily of the valley are listed among the notes. Despite all of these differences, I do think that the four perfumes all lie fairly close to one another on the grand olfactory map and are kindred spirits. 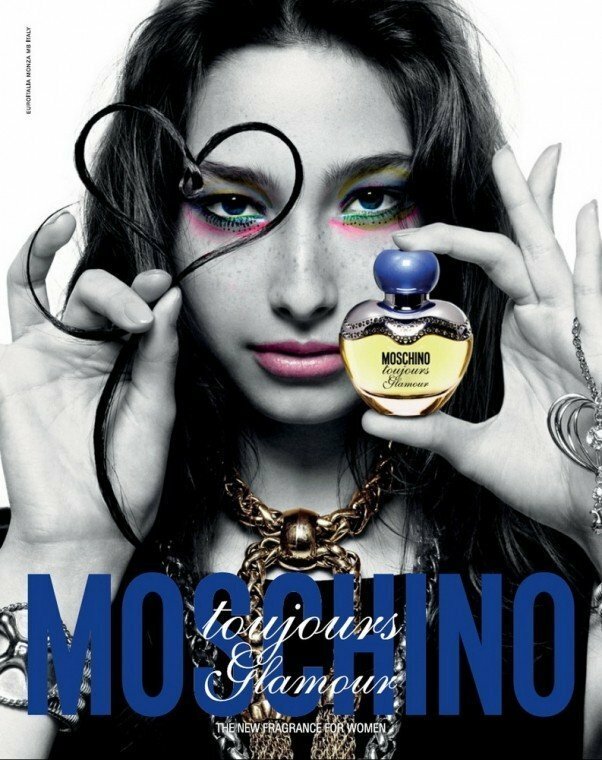 TOUJOURS GLAMOUR is definitely more of an oriental than a floral composition to my nose—thanks in part to cardamom and almonds—which I feel to be the case for FLOWER and L'INSTANT as well. The opening of TOUJOURS GLAMOUR is bright and shiny, like the arrival of smiling celebrities at the doors of the Academy Awards ceremony, with paparazzi bulbs flashing all over the place, the effect of which is multiplied by utra-bleached pearly whites ricocheting light every which way. The stars stroll slowly into the theater—each with a comely guest at his or her side—and within a couple of minutes everything has become golden and, yes, glamourous. The ladies are all wearing haute couture rock-studded jewelry on loan, and the tan-faced gents all look as though they just returned from St. Tropez—or Cannes. Red carpets cover the ground; velvet-covered chairs abound. This aura persists for about thirty minutes, during which time I really find TOUJOURS GLAMOUR to be a splendid perfume. I am a big fan of both benzoin and violets, which explains part of this composition's appeal to my nose. The problem is that, unlike its more famous neighbors, TOUJOURS GLAMOUR fairly swiftly fizzles out to nearly nothing, and as it fades away, it seems slightly less coherent than in the opening and mid-stages. It's not that the drydown is particularly bad; it's just that it's disappointing after what came before. Similar to the sad specter of a picture-perfect celebrity in a stunning evening gown sashaying her way up to accept her statuette and then sputtering out a string of nonsensical verbiage studded with solecisms. All of which just goes to show once again what we always seem to forget, that you can't judge a book by its cover or a perfume by its bottle, though hope springs eternal that the packaging may be matched by the product inside. In the case of TOUJOURS GLAMOUR, it is entirely feasible (given the modest price) to obsessively reapply the edt and just pretend that it continues to deliver on the promise of those luscious opening minutes. As though the painful acceptance speech never happened at all. Write the first Review for Toujours Glamour!